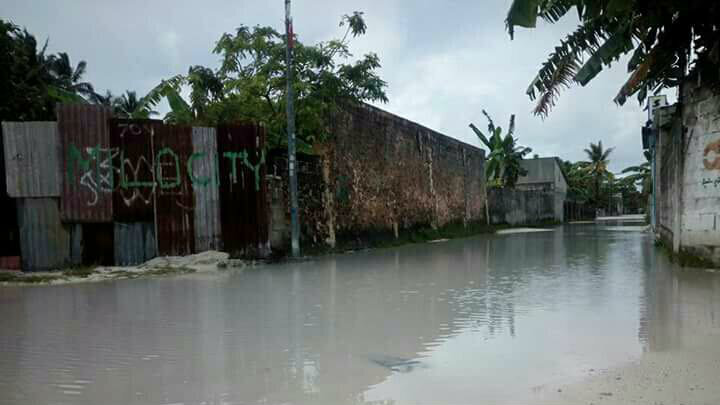 Southern Addu City has suffered the worst storm damage in 40 years after 12 continuous hours of torrential rain left streets inundated and flooded some 200 households. “This is the worst flooding I’ve seen in decades. The water is knee-deep in most areas, and a majority of houses are under a foot of water,” saud Abdulla Thoyyib, the deputy mayor. 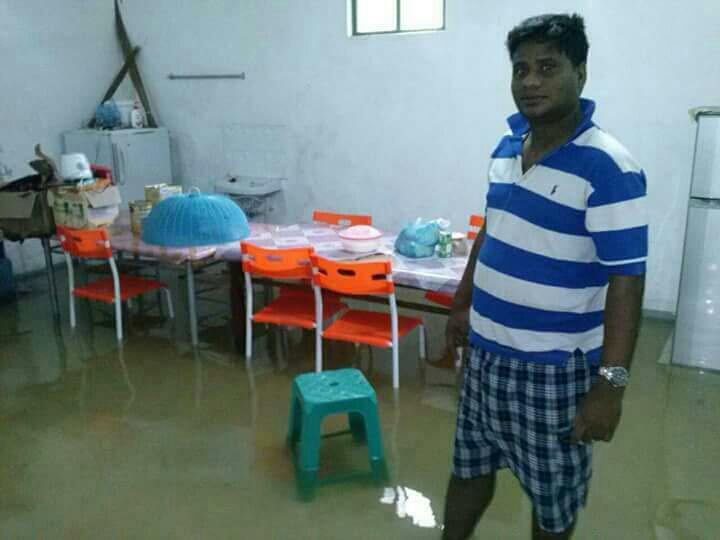 The Feydhoo and Maradhoo-Feydhoo wards suffered the most damage. 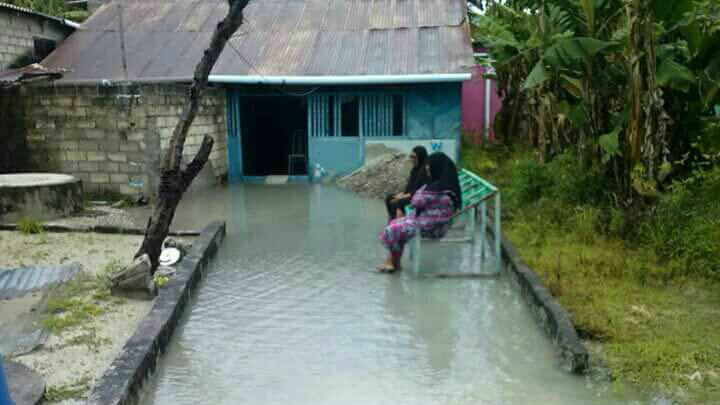 According to the Maldives Red Crescent, some 32 houses in Feydhoo and 11 houses in Maradhoo-Feydhoo suffered major damage. A majority of household appliances were destroyed, a spokesperson said. Residents are now worried of water contamination as sewers are full and overflowing. 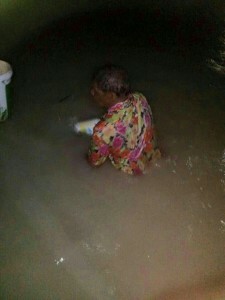 The city, home to some 20,000 people, and the second most populous region, is out of chlorine, according to Thoyyib. 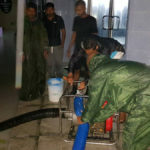 The Maldives National Defence Forces have set up water pumps in the three worst affected wards. Sand bags have been piled up to stop water entering into 17 houses in the Feydhoo ward. The rain, which started at 3pm on Tuesday, continued for 12 hours. 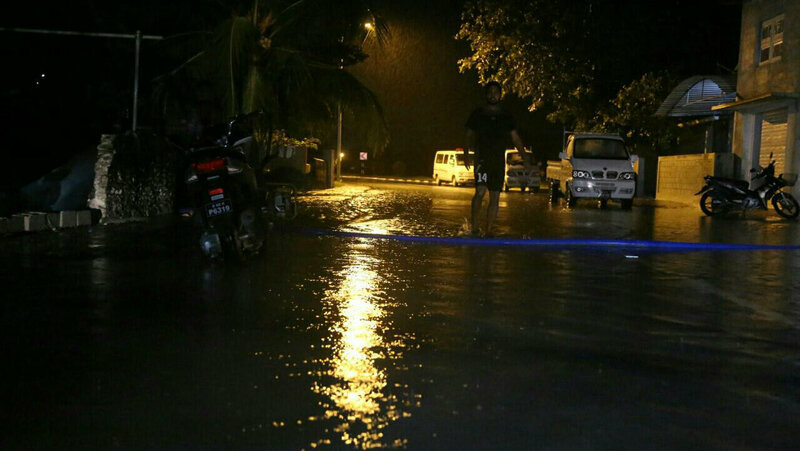 The department of meteorology recorded 228mm of rain, the worst in 40 years in the Maldives. “This kind of rain is not common and it has damaged houses that are normally safe,” Thoyyib said. 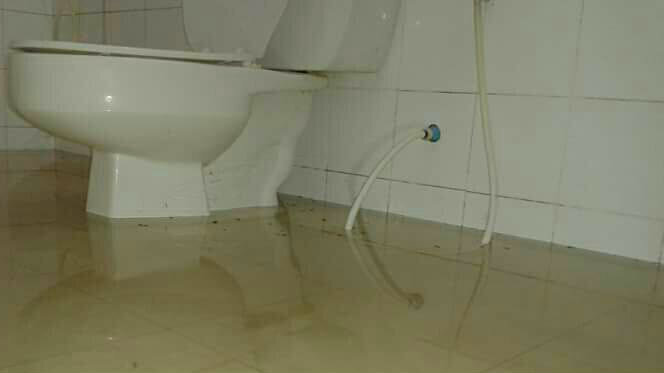 Photos shared by the MRC show a foot of water inside some households. 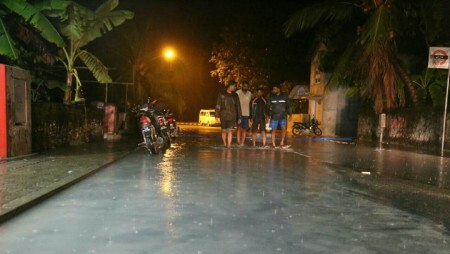 The met department predicts cloudy weather for Addu for the next few days, but no major rainfall. Colombo based Foundation for Environment, Climate and Technology in October said Maldives will experience above average rainfall throughout November and December due to the El Nino weather phenomenon. Scientists say this year’s El Nino is the strongest recorded so far. January to March will bring blistering heat. 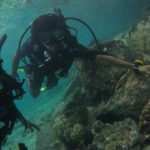 Environment groups have said the government needs to gear up for more extreme weather related disasters in the future. Maeed Mohamed Zahir of Eco-Care says changing global patterns associated with climate change will continue to have drastic effects. 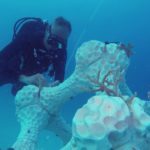 “It is a fact that Climate change has enhanced the frequency and intensity of storms all over the world. 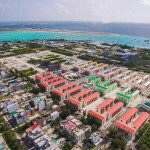 Weather patterns in Maldives has also been intensified and become unpredictable,” he said. 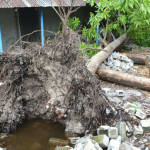 In August this year strong winds and heavy rains ripped of some 37 roofs in Addu and caused damages to over 60 farms.